Sandra lives an idyllic life—a husband out of central casting, a rewarding occupation and a luxury home. Something most American women dream of, right? Except Sandra's dreams start to expose deep deficits in her existence and longings that take her on an odyssey that threatens to strip her of that perfect life. In her new novel "Crossed Lines: What Lies Buried within the Heart" author Jessica Cross explores the mythical "perfect life” and how a closer examination can expose an emptiness that demands to be filled, whatever the cost. The well-paced storyline and believable characters combine to create a raw and profoundly beautiful book that readers will find hard to put down. 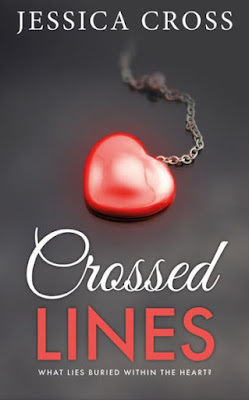 Some of Crossed Lines might have come straight from Cross's own experiences. After bearing a child at the age of 17, she doggedly pursued an education that led to her own dream life: a rewarding career, a loving husband and children. But at the age of 35, she was dealt a crippling blow: a stroke that left her hospitalized for months with a paralyzed right side and an inability to work. Two years later, still in rehabilitation and out of work, Cross began punching at a computer keyboard to restore function to her arm and hand. Having little interest in typing mindlessly, she began writing what would become Crossed Lines. In addition to writing, Cross is a motivational speaker, an activist in education and wellness, and an advocate for women's empowerment. For more information, please visit Jessicarcross.com.